As your planning your 2019 race schedule, consider setting aside a weekend or two to give back to the community that gives so much to you, and volunteer at a local running race or triathlon. While it may be hard to justify giving up weekend hours to not work towards that PR or goal, you actually will be making a bigger difference than you may realize. Local race directors need all the help they can get at their races to ensure it runs smoothly, and they have given us 9 reasons why volunteers are an essential part of the day. 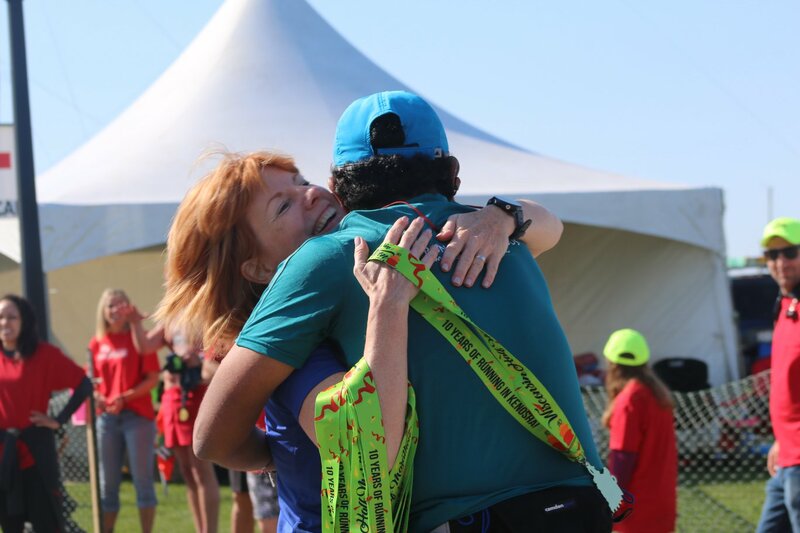 Whether you have been in the local endurance community for a few weeks or several years, chances are you’ve participated in a race that relied on its volunteers. It’s only fair to do your part, and help your fellow athletes out. “Great volunteers make for great races. You can’t have one without the other,” says Bob Richards, Elmhurst Running Club 4 on the 4th. From working an aid station to handing out medals at the finish line to helping with set-up and take-down, volunteering is a great way to see the sport from a new perspective. “Often, volunteers are runners who are injured and decide to give back and still be a part of their favorite events,” Beth Salinger, Fort2Base. A race requires more than just athletes to show up on the day of; it takes months of planning and logistics, often times hundreds of workers and volunteers, and a lot of things to go right in order for race day to be what everyone signed up for. “Volunteering provides runners with a behind-the-scenes look into some of their favorite races, which then provides a greater appreciation for the work that goes into producing a running event,” Greg Hipp, CARA. 4. … and take a load off the big guy. For volunteers, race day is their one day of work, but for the race director, it’s their last. Help ease their weeks of stress by taking care of little jobs so they can focus on the big ones. For the other five reasons you should volunteer this year, read the full article on Chicago Athlete.